Please provide only low competetive keywords for this service. This service can't help you rank for high competetive keywords. Each and every keyword has a diffrent competetion level on Google. Thousands of people do SEO for a single keyword. You are not alone in the race. Your competetion may be hiring big SEO companies by investing hundreds of dollars monthly. Everyone knows that Google's 1st page ranking means "JACKPOT". You can't compare a 15$ SEO service with 500$ SEO pack. Instead of this we put our full effort on every campaign to boost clients ranking. We have 90% success results and the rest are too competetive. We do all the backlinks manually and safely. So that your site will be safe and rank well. Some clients never try to understand these things and leave us bad feedbacks without consulting with us. We are here to help you. So cooperate with us, Disscuss your goal and project with us. We will be happy to help you in a right way. I am a generous person. So please be genuine with me and the SEO. 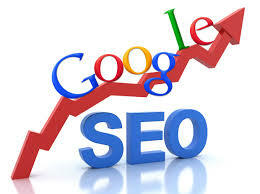 If you understand how SEO really works than we are here to help you in the best way. If you don't follow the SEO in a right way and insist on your wrong SEO thoughts than soon you will be out of the business. 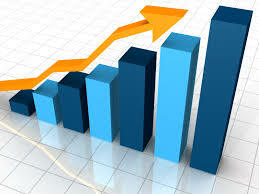 1- Within 12 days we will do your SEO campaign and deliver the backlinks report. The effect can be seen within next 3 weeks after that. Please don't expect ranking after 1 day of delivery the campaign. Also new backlinks take minimum 2 weeks of time to indexed naturally on Google. 4- If you are doing SEO for first time than the results won't be great as SEO takes time to show it's effect. "ORDER IT NOW FOR ONLY $13"
Rank on Google 1st page by exclusive Link Pyramid. All Backlinks by Unique Domain is ranked 5 out of 5. Based on 22 user reviews.